What’s Unique About Mozambique? (43/365) – Annoyingly Boring? What is unique about Mozambique? Well, about their flag really. 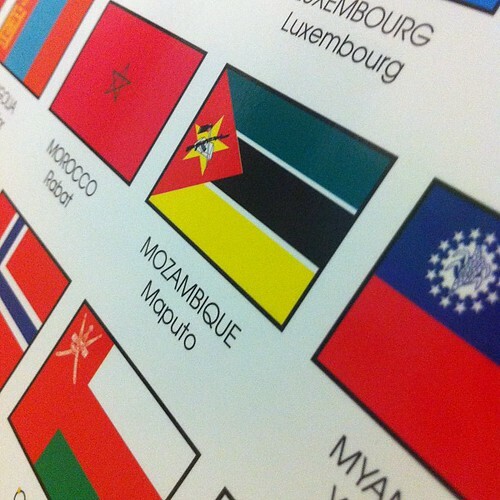 There is something about Mozambique’s flag that makes it different from every other nation’s flag. Little known fact, when designing the Mozambique flag the government had to decide between two equally compelling choices: either a Kalashnikov assault rifle or a maple leaf.